Download and print the google document version of the color by numbers here. 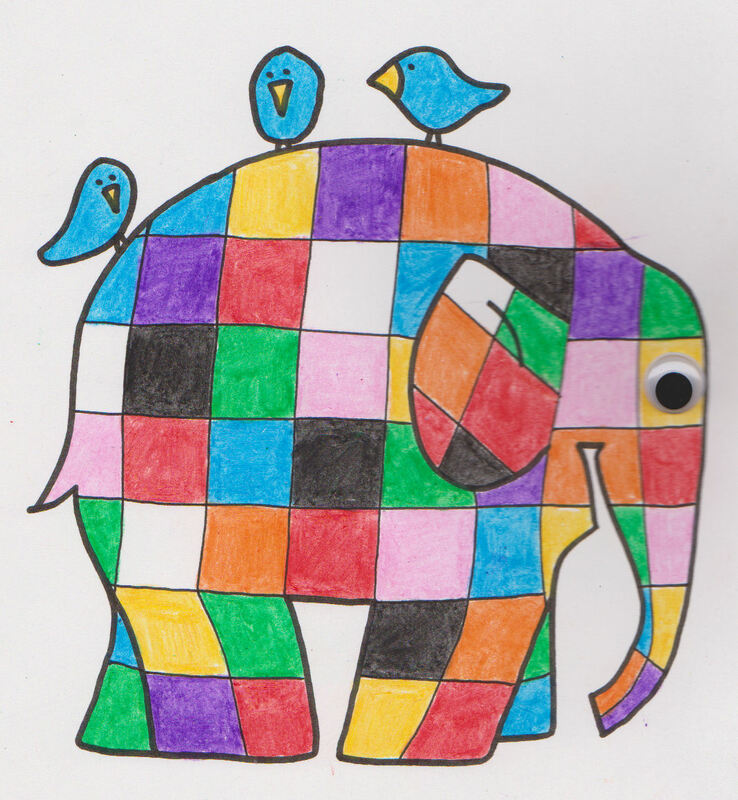 One of our favorite children’s book characters is Elmer the Patchwork Elephant. I want to encourage my kids to love books so I especially enjoy artwork or crafts that tie back to books we read. 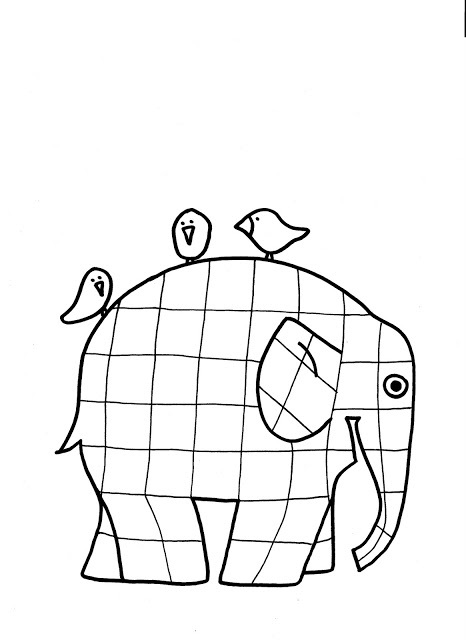 Since my son is still too young to do too many crafts, I just made this simple Elmer drawing to hang in his room. I traced a picture of Elmer from the cover of our book, made a copy, colored it in with crayons, and then added a little plastic eye for fun. 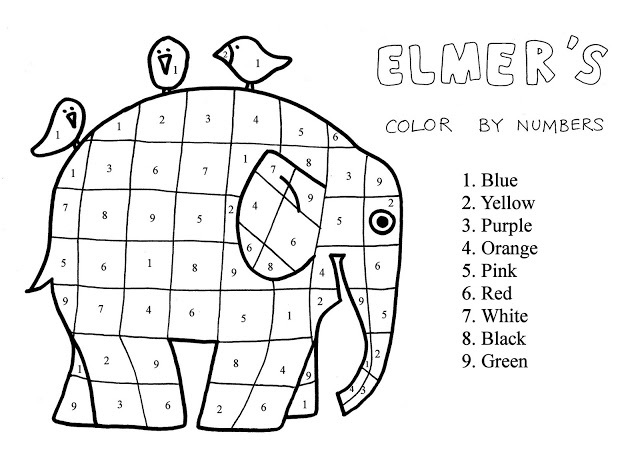 I realized part way through that an Elmer picture would also make a really great color by numbers coloring activity. I added the numbers here. Feel free to print this here. My son is still too young to do this color by numbers activity, but it seems like a lot of fun. If anyone would like me to email them the version of this in Word please send me an email at linesacross@gmail.com. What a colourful, fun drawing to have hanging in his room. 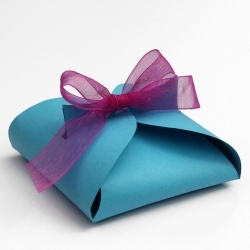 I read your Black Friday "adventure" from last year – what a shocker! A story you'll be able to tell for years to come. When I had my first daughter I decided not to bring the nappy bag into the doctors surgery and sure as eggs, this was the exact time she decided to also relieve herself (which was not contained in the nappy and we ended up with it all over her legs, back and on my white shirt). I have also learnt the nappy bag lesson the hard way: have babies must have nappy bag. What a cute and colorful decoration! 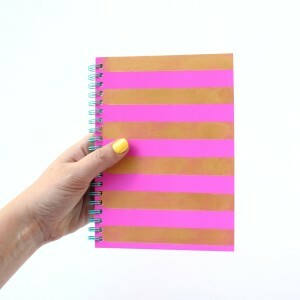 Fabulous idea!! I'm a teacher and I love Elmer!! Such a pretty story 🙂 You should check out the Rainbow Fish story bu Marcus Pfister as it it also great!! Stopping by from comment love! Thanks! my littlest kids are 5 and 7 and would love to color by numbers, I'm printing it! Thanks much. I am finding the pattern of Elmer the Patchwork elephant to sew a blanket for my son. Elmer is his most favourite. Love to find out your page. The coloring job is so pretty! 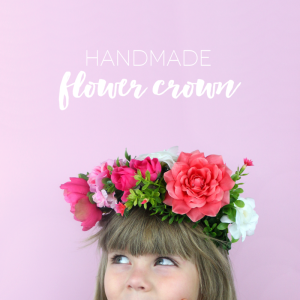 I just wrote about this craft, with a little twist. Linked to this post, too, so my readers can see how it looks with coloring. My preschoolers loved this.